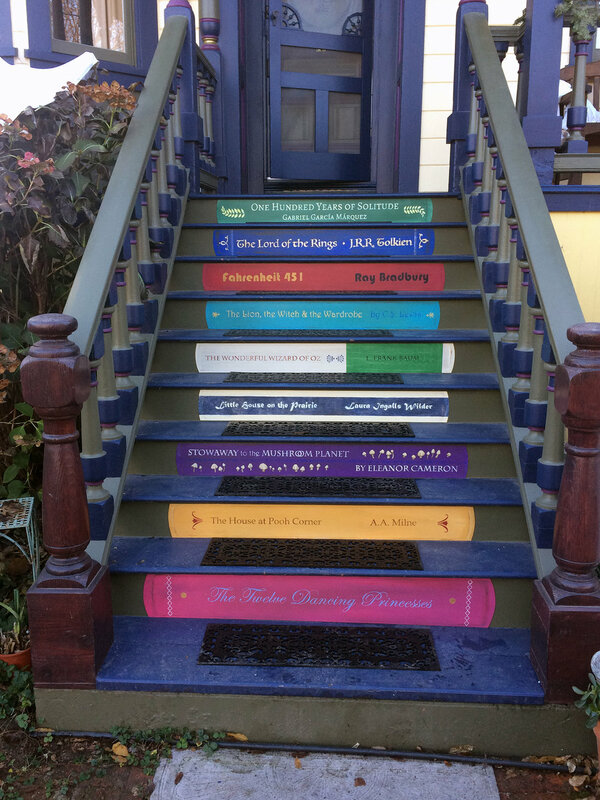 A local librarian wrote a list of her all-time favorite books and asked me to create colorful book 'spines' on the front outdoor stairs of her home. I researched several editions of the books' original hardback book covers and recreated them in bright jewel tones. 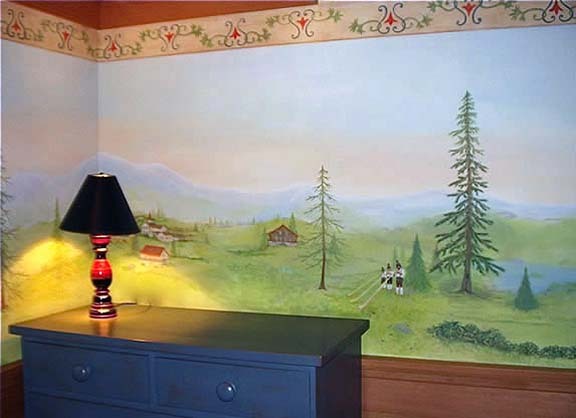 In this family vacation home located in the California Sierras, the client wanted a mountain landscape mural on all four walls of the bedroom for their older child. We created a Tyrolean-inspired vista complete with animals, people and many details to discover. In the same ski-chalet as above, the client wanted to create a simple, playful theme for their youngest child's bedroom. 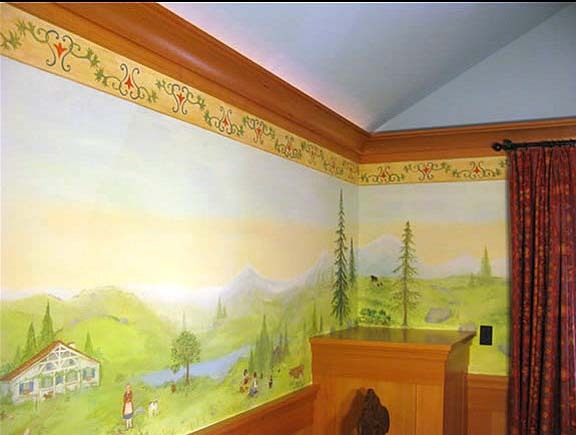 We created a colorful frieze of familiar woodland animals in a quiet, woodland scene. This client wanted a bountiful, natural frieze of flowers and fruit found on the property. We created this warm organic pattern of figs, sunflowers and olive branches on both archways of their formal foyer entrance. Completed with Angela Tirrel. The couple that lived in this home had recently been to India and wanted to create a vibrant, bountiful way to remember their trip. I worked with their landscape designer and gardener to compliment the new plants, pond and lighting they installed after the mural was complete.